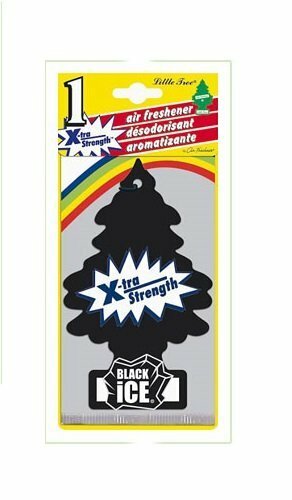 Scent your car with the alluring scent of Little Trees black ice xtra strength car air freshener. Little Trees car air fresheners are made from ingredients carefully selected to produce exquisite fragrance blends;Unique in its quick, powerful and long-lasting effectiveness;Easy to use- just hang anywhere and avoid contact with any surfaces! If you have any questions about this product by Little Trees, contact us by completing and submitting the form below. If you are looking for a specif part number, please include it with your message.